You've never seen a dolphin themed toe ring quite like this dolphin wrap toe ring in 14K gold from Apples of Gold Jewelry! 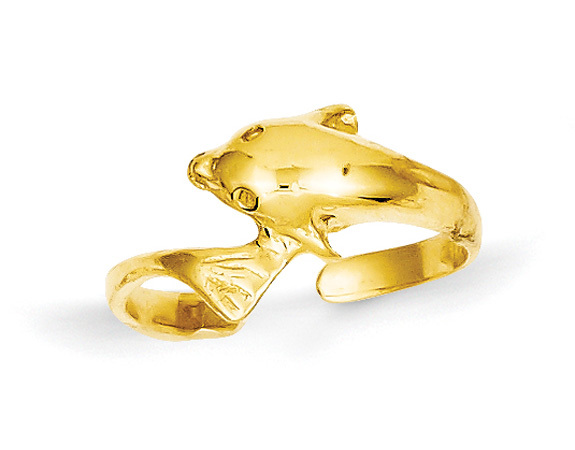 This unique and playful toe ring features a dolphin that makes up part of the band. In fact, the dolphin on the ring actually wraps around the toe when the ring is slipped on. This highly polished 14K yellow gold ring is perfect for those who simply love dolphins and are interested in something a little different. 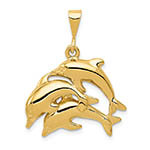 The band measures 2mm wide, and extends to measure 6mm wide at the top point of the dolphin. 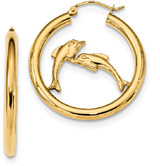 We guarantee our Dolphin Wrap Toe Ring, 14K Gold to be high quality, authentic jewelry, as described above.